If you’re looking for really great Advanced Microsoft Excel 2013 training you’re in the right place. Companies large and small choose us – why? Your own tailored, Advanced Excel 2013 training course, at your own premises at the same price as a standard course from elsewhere. Uncover the power of pivot tables to transform your large data sets into meaningful reports. Learn more complex functions and formulas. We can explain the mysteries of “What-If Analysis” or teach you how to write a simple macro. We will show you how to protect particular cells, worksheets or workbooks to save people inadvertently overwriting the formulas you have so painstakingly created. We will also demonstrate auditing a workbook to look for errors and work out which cells are included in any formula. Our Microsoft Excel training courses London, are available not only in London, but Surrey, Middlesex, Richmond, Twickenham, Hounslow, Brentford, Putney, Wimbledon, Kingston, Croydon, Reading, Woking, Epsom, Banstead, Staines, Egham, Feltham, Farnham, High Wycombe, Crawley, Sutton, St Albans, Fulham – in fact anywhere within the Home Counties and M25 corridor. 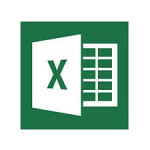 We have Microsoft Excel trainers in Twickenham, Richmond, Ashstead, Lightwater, Ascot, Central London, New Barnet, Ilford, Surbiton, Slough, St Albans, Bushey, Crowthorne, Basingstoke, Whiteley, Little Torrington, Wembley, Nottingham, Taunton, Doncaster, Immingham, Edinburgh, Sunderland, Leeds, Thatcham, Cardiff, Watford, Wallington, Littlehampton, Romford and Bolton! If you are based within 30 miles of any of these locations we would not charge travel expenses for the trainer. We can still provide Microsoft Excel training courses outside these areas but would then need to charge for the travel expenses of the Excel trainer. This course aims to give delegates an in-depth knowledge of Excel 2013 features. Familiarity with the Windows environment, and a reasonable knowledge of Excel. Prior attendance of the Intermediate Excel course would be an advantage.